So, taking my morning walk on the back lot of Universal Studios I noticed a familiar vehicle being used in the Hollywood Horror Nights. I was surprised to see a '70 442 being beat on as one of their props. I couldn't see the vin number but it was badged in 442 trim. Seems like a shame to beat on a valuable car. That car was in a movie but I can't remember the name of it. I know for sure because of the mismatched trim on the front. Beat on as in driving it around hard, or beat on with a sledge hammer? Sort of looks like the sledge hammer has already visited the side. Shame. Perfect candidate for a resto. Looks (salt belt) rust free too. You non salt belt guys dont understand this. That car is worth 2-3X more in the salt belt. Hopefully they just beat it and dont flip or burn it. Then put it up for adoption to a loving Oldsmobile home. Apparently it is supposed to be a scene out of "The Purge" I never saw the movie. I guess there is also a 70 442 in "The Hitcher 2" that looks just like it. I have heard the show creatures jump on the hood during the show. Maybe you could go find some non-descript car and offer to swap them. I mean, if all they want is something to destroy. Probably if this car was in a movie before, it was just sitting around and someone said, why can't we use that blue car? 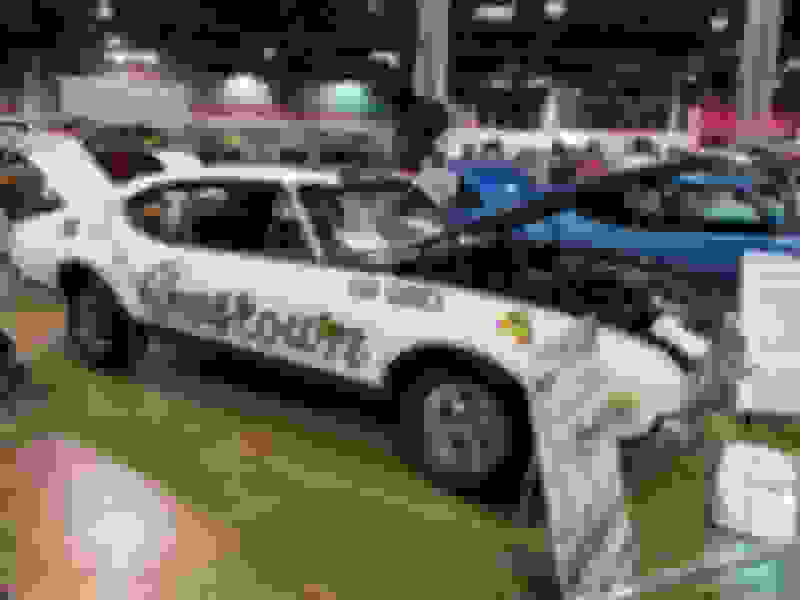 ChECK in with me at the Piston-Power Autorama this weekend. I'm in the concourse display on the lower level. Per IMCDB (movie car database site), they used five cars in The Hitcher. Three were Cutlass S models, one "star" car was a 442 owned by a guy in Austin, TX and one other one was also a 442 and was sold. This is likely one of the 3 Cutlass S cars. It was probably picked out of the Universal fleet lot. I always see the same cars and trucks over and over in CHiPs episodes, or the same rigs turning up on The Rockford Files and Cannon, etc. They just become props, unfortunately. Last edited by vette442; March 13th, 2019 at 11:48 AM. The show The Americans which finished production last year was set in the Reagan Years and always had a 70 442 convertible as a background car, but never a good shot of it. Last edited by droptopron; March 13th, 2019 at 01:14 PM.